Prototype: Class 185.5 electric locomotive painted and lettered for the Swiss firm Crossrail. Built starting in 2005 by Bombardier as a regular production locomotive from the TRAXX type program. Road no. 185 578-2. Use: Freight service. Model: Era V. The locomotive frame is die-cast metal. The locomotive has a 21-pin digital connector. It also has a 5-pole motor with a skewed armature and a flywheel, centrally mounted. 4 axles powered through cardan shafts. The headlights are maintenance-free, warm white LEDs, and they will work in conventional operation. The lighted train destination sign can be controlled together with the headlights. A set of lettering with different train destinations is included with the locomotive. The headlights can be turned off in digital operation at the end of the locomotive with Cab 1 or 2. The grab irons and many other details are separately applied. The locomotive has detailed roof equipment. The engineer's cabs have interior details, and there is a figure of engineer in the front cab. The locomotive has NEM coupler pockets with a guide mechanism. 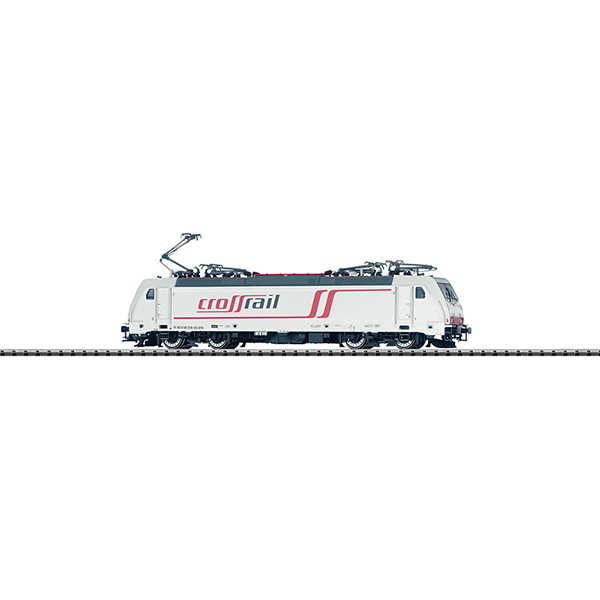 Brake hoses in a long and a short version and buffer beam details are included in a bag. Length over the buffers 217.2 mm / 8-9/16.